Bentley just unveiled the wicked new version of its iconic Continental G, an ultra-gentlemanly British grand tourer, at the Frankfurt Motor Show, and its watch partner Breitling immediately followed up with a cool new chrono designed to complement the well-bred ride. 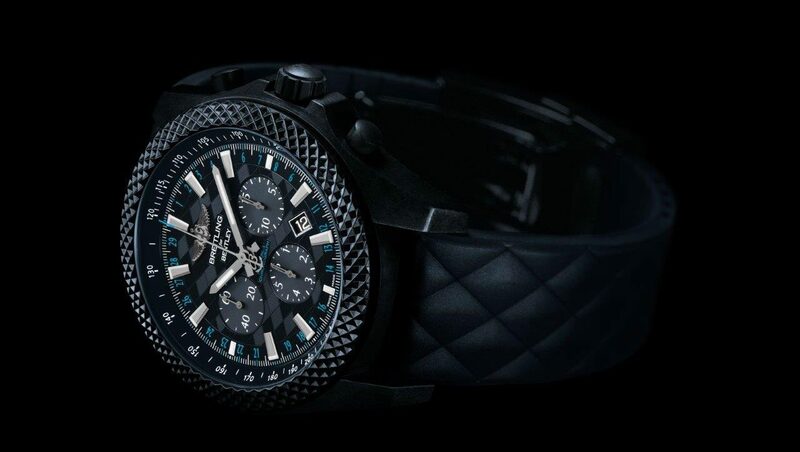 The new Breitling for Bentley GT Dark Sapphire employs Breitling’s patented high-tech Breitlight material developed for enhanced scratch and corrosion resistance as well as anti-magnetic, thermal stability and non-allergenic qualities. Limited to just 500 pieces, the GT Dark Sapphire is named after an exclusive paint color available on the new Continental GT in striking, shimmering midnight blue. It features Bentley’s signature knurling on the bezel as well as a diamond pattern on the dial, echoing the quintessential Bentley finish which is even more prolific in the new Continental GT. A true beauty, but that isn’t where it ends. Moving on to the watch from Breitling. This is not the first time Breitling and Bentley working together. 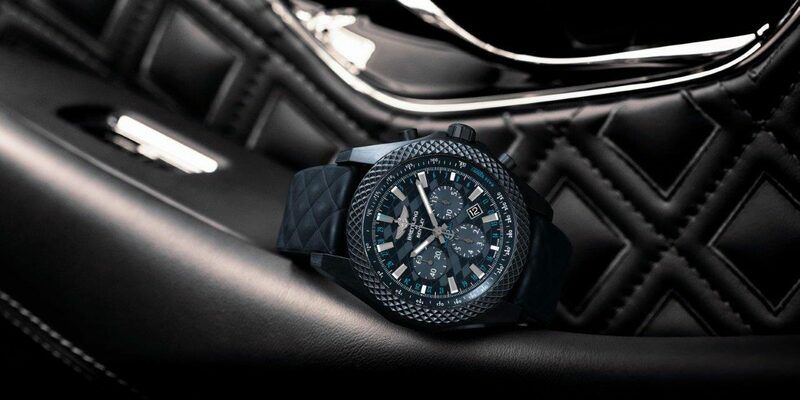 This time Breitling added an extra clever touch, they created a brand new rubber strap in quilted Dark Sapphire exactly matching the plush upholstery on the car. 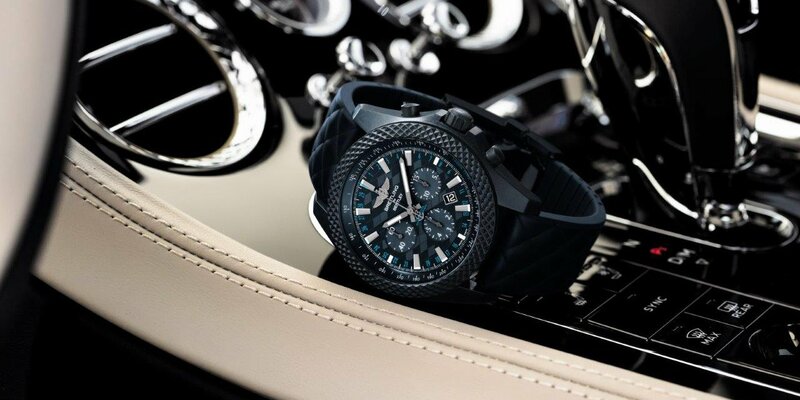 The horological equivalent of the new Bentley’s 6-litre W12 TSI engine the GT Dark Sapphire is powered by the COSC-certified Manufacture Breitling B06 calibre, developed and produced in house. Just as the Bentley car echoes the design of the original Continental R of the 1950s, the watch’s “30-second chronograph” system evokes a 1926 Breitling patent, with a central hand able to make a full sweep of the dial in half a minute, making it extremely accurate. Breitling calls this feature a “world exclusive” and the words “30-second chronograph” appear on the center of the dial. A lighter blue tint to some numerals on the inner and outer scales and as well as the tip of the seconds hand give the timepiece a bespoke touch. Designed, engineered and handcrafted in the UK to be “the definitive grand tourer”, with styling cues inspired by Bentley’s much-admired EXP 10 Speed 6 concept car, the new Continental is equipped with what Bentley calls the most advanced 12-cylinder engine in the world, it delivers an eye-popping 635 hp and is capable of doing 0-60 mph in 3.6 seconds with a top speed of 207 mph. The engine is also positioned further back for improved weight distribution, making for a more driver-focused and dynamic experience. “Bentley has been at the forefront of luxury grand touring for nearly 100 years,” notes Wolfgang Dürheimer, Chairman and Chief Executive of Bentley Motors. “The new, third-generation Continental GT is the pinnacle of our design and engineering achievements and marks the next step in Bentley’s journey.” And this is the watch to help you get there.